Security Products Marketing, Inc. was established to answer the need for an energetic, motivated agency representing a new direction in product promotion and distribution. 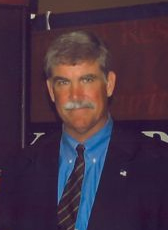 As owner and president, Jerry G. Wilkins utilizes his unique skills to present quality products for the security industry. His dynamic agency is propelled by strong and assertive leadership and supported by capable and creative partners. The agency focuses on service to the customer, emphasizing equipment demonstrations and informational on-site visits to current and potential customers. Following a pattern tested during more than twenty years of successful sales, marketing, management and ownership in the industry, Mr Wilkins has positioned his company to meet and surpass the challenges of his chosen field.